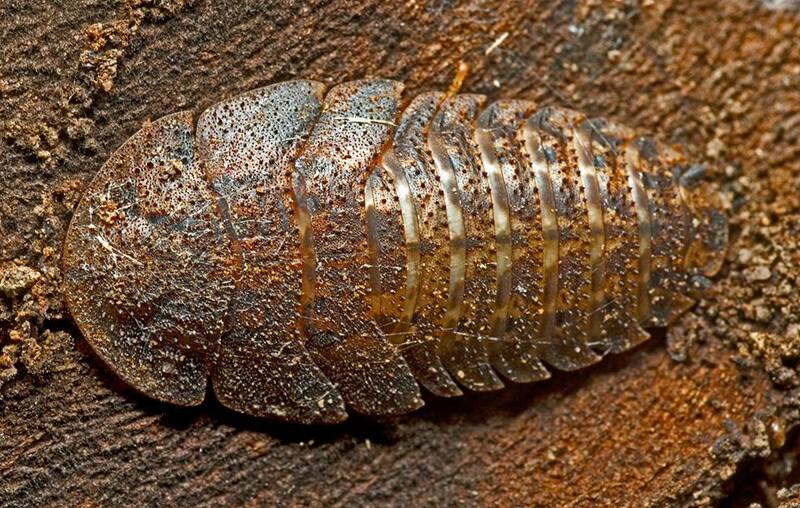 Reader Tony Eales from Queensland sent some really nice arthropodos photos and descriptions of the subjects (indented). Now that I’ve learned how to embiggen the photos (WordPress changed its schema), you can click on any of these to enlarge it. I recently spent a morning looking for photographic subjects in a place near to my home in Brisbane called Mt Glorious. There’s an area of montane subtropical rainforest there, and I got some interesting insects and arachnids. 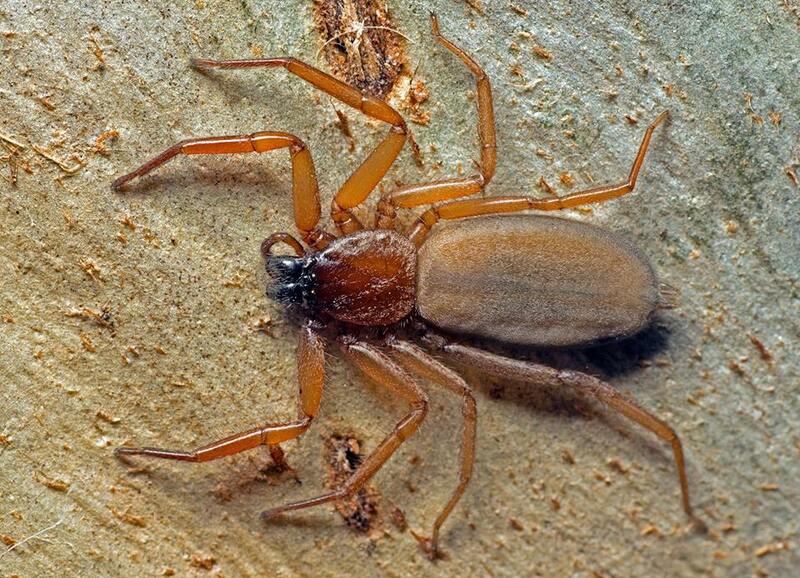 First is a new (for me) species of Arkys, Arkys dilatatus. These spiders were recently split from the orb-weavers into their own family and I love finding new ones. Some are very spectacular and brightly coloured and some like this are tiny and cryptic. This one was only around 3-4mm and when folded up, looking like nothing more than a piece of dirt or bird poo on a leaf. I found a female ‘trilobite cockroach’ from the Australian (and PNG) family Blaberidae. It’s a female as the males have wings. They live under pieces of bark on eucalyptus trees. Next is a “Flat Bug” from the family Aradidae. When I put it up on Facebook it generated some interest from one of the Hemipteran experts. 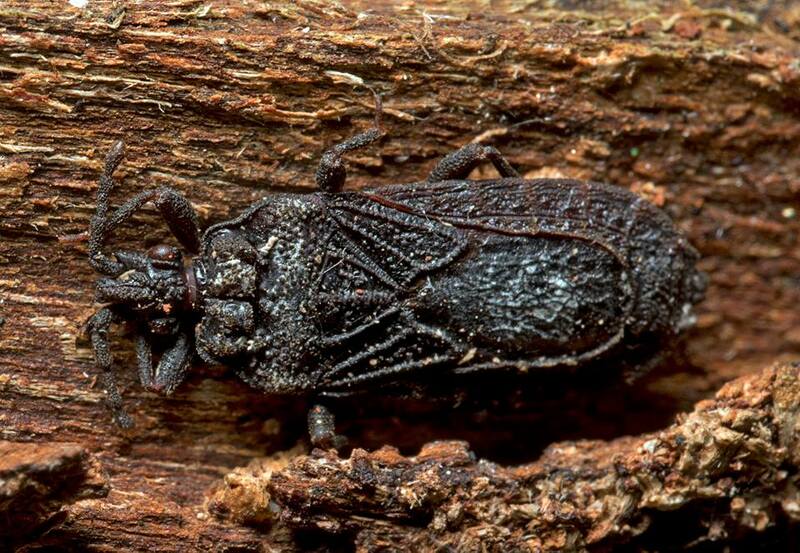 Apparently the last record of this species Brachyrhynchus sulcatus in Mt Glorious was in the 60s and there were two other records in the Southeast of my state in the 70s and 80s, but most records are from the far tropical north and PNG with quite a large gap in between. 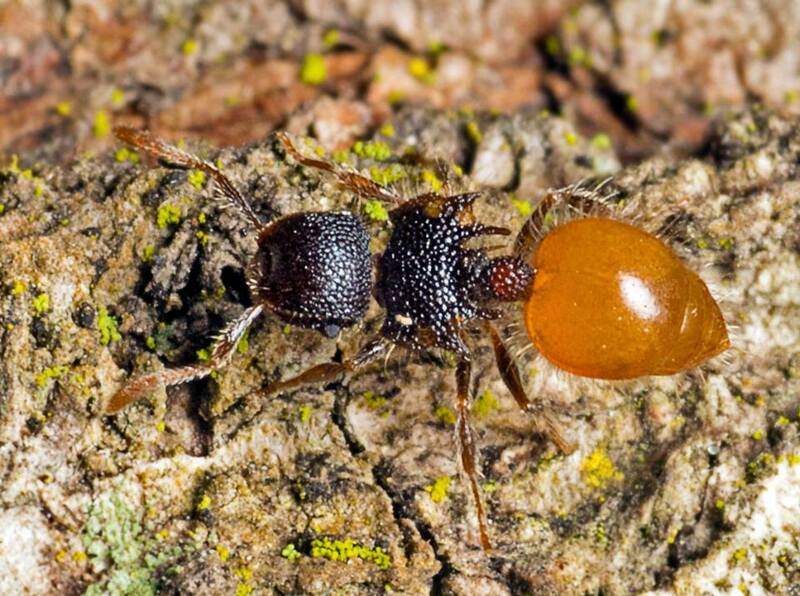 The small ant Meranoplus sp. They are quite common in the hilly wet forests but I love the look of their golden abdomen and weird shield-like thorax. I found this tiny Mirid Bug under a leaf. It’s only about 5mm long. The expert I was corresponding with on Facebook says it’s a new species and new genus…so no clue what it is. 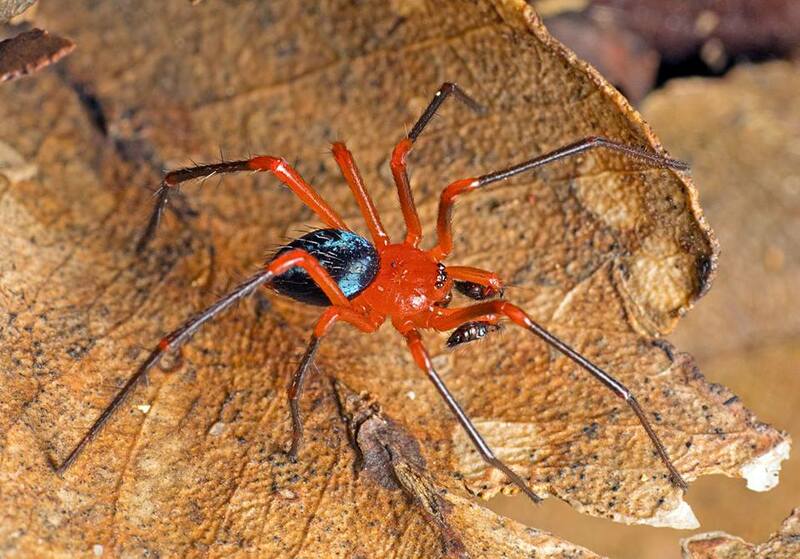 Another exclusively Sahulian (Australia and PNG) family, Nicodamidae, the Red and Black Spiders. They are difficult to get to species from photographs but they are all pretty striking. They tend to hunt through the leaf litter which is where I found this one. The largest Pseudoscorpion I’ve found so far, still only about 6mm. It was sitting on top of a road guardrail, probably looking for something winged to hitch a ride on. 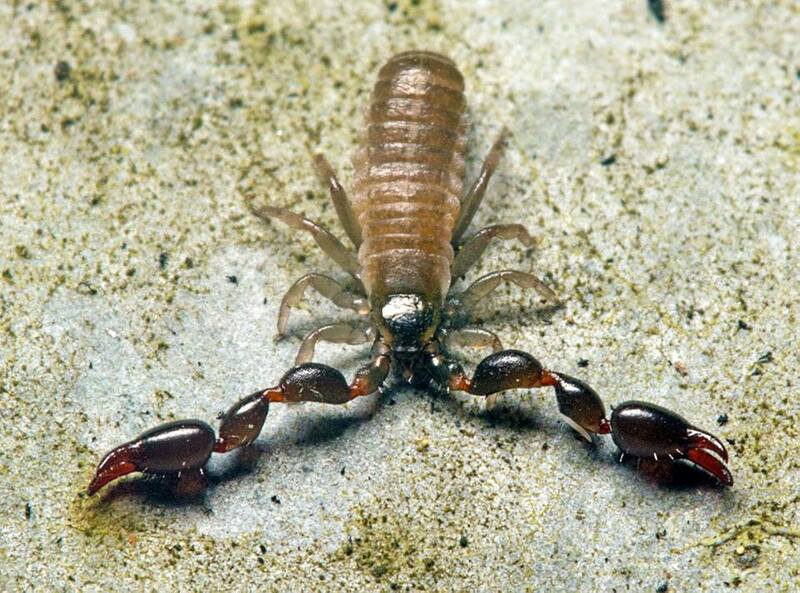 This behaviour is common in Pseudoscorpions and is called phoresy. 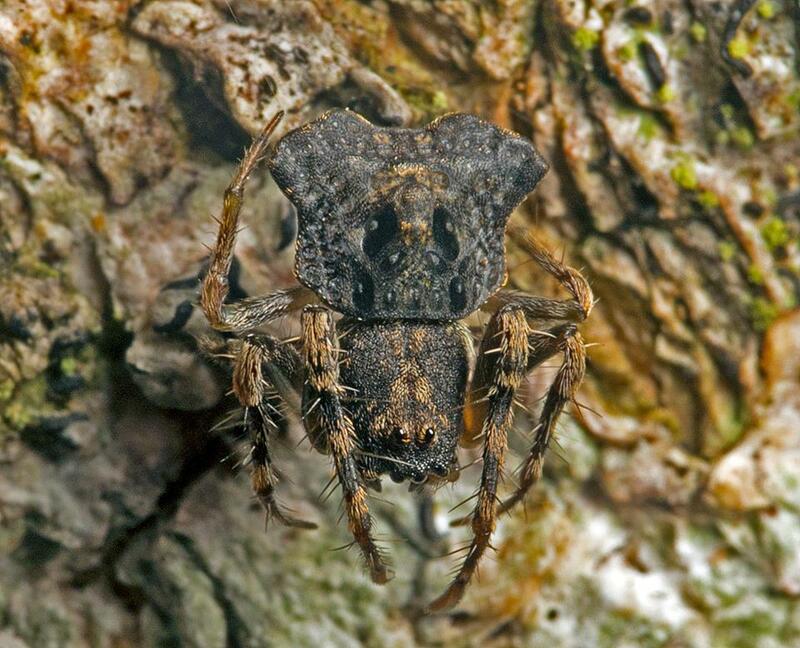 Another Sahulian family of spiders with some genera in other Gondwanan continents, the flat spiders Trochanteriidae. These live under bark and rocks, some species seem preternaturally thin. This group is in serious need of revision with some near identical spiders placed in the Gnaphosidae. This entry was written by whyevolutionistrue and posted on June 7, 2018 at 8:00 am and filed under arthropods, insects, photography, spiders. Bookmark the permalink. Follow any comments here with the RSS feed for this post. Both comments and trackbacks are currently closed. Great photos and commentary. Thank you. Absolutely amazing! I am floored. Besides the quality you have several very important pictures in there, so this is wonderful. Thanks Mark. I have a new camera and proper macro lens and just now feel like I’m getting the hang of driving the new gear. It was a fun day’s photography. 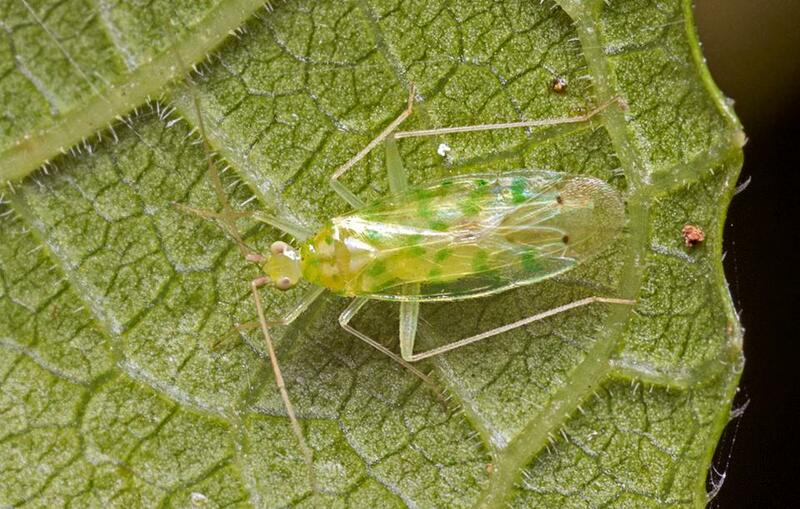 So will Tony Eales get a species of Miridae named after him? Thank you! The ant with the golden abdomen is probably my favorite, but it’s hard to choose. Wow, these photos have an amazing level of detail! Beautiful!